The file Ultima IV: Dragon v.11092018 is a modification for Ultima IV: Quest of the Avatar, a(n) rpg game. Download for free. 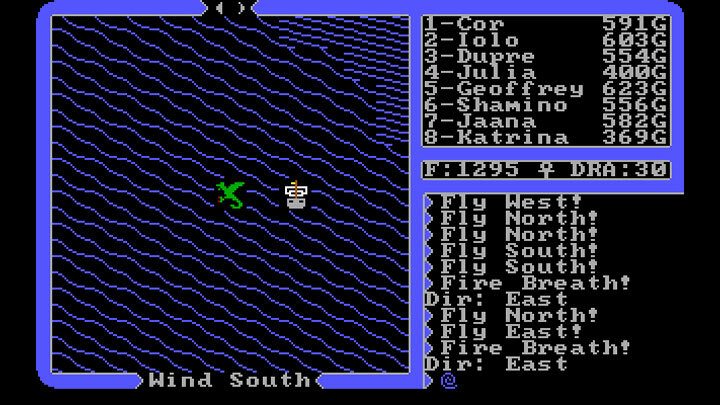 Ultima IV: Dragon is a mod for Ultima IV: Quest of the Avatar, created by cambragol. This mod, has been peeled off of another in development mod, 'Advent of the Trinity'. I like the Dragon so much I thought it would be nice to have it as an option for players, who maybe didn't want all of what is included with Advent of the Trinity (when it comes out). Additionally, the Dragon fulfills or solves some of the issues that make Ultima IV tough later in the game. Namely the non-stop mobs that are just getting in your way at that point, and the need to travel great distances, frequently, in search of quest related info or items. Early in the game the mobs and travel are all great, but near the end you just want to get to the Abyss and complete the Quest of the Avatar. So this mod may help a little with that. The Dragon is somewhere in the game. I won't say where. Ask around. And don't expect to just be able to 'hop on'. There may be more to it than that. Nevertheless, getting the dragon is pretty straight forward. Dragon can fly over mountain ranges, rivers, oceans, and enemies. Dragon has hitpoints, which are saved and restored from saves. Ships also have hitpoints which are saved and restored from saves. Dragon handling matches most game defaults, derived from Balloon, Horse and Ship handling. 1. Place all files in the zip/archive into the Ultima IV directory. 2. When asked to overwrite or not, choose to overwrite.